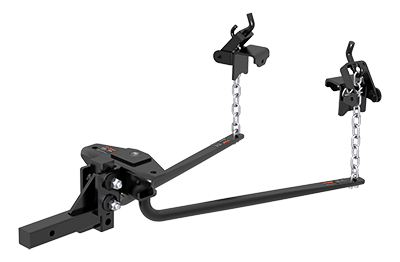 CURT round bar weight distribution hitches help promote smooth, stable towing. They are available as a kit with a pre-torqued trailer ball and sway control included, and they range in capacity from 5K to 14K. We also offer our MV round bar WDs with a built-in lubrication system.